The New Republic has a “new” editor, though not new to the almost 105-year-old publication maybe, and certainly not new to the world of political journalism. 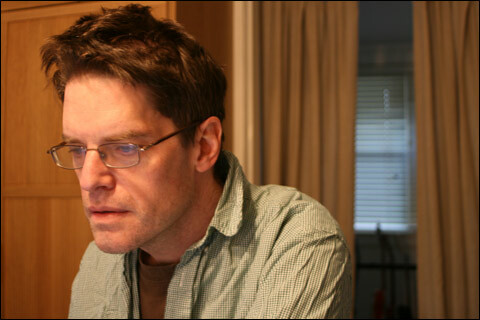 From editor in chief of The Baffler to senior editor at Congressional Quarterly, and consulting editorial director at The New Republic, Chris is definitely known around the Washington D.C. arena and is a voice that brings an accomplished writer and editor in many forms to the legacy brand, from book author to columnist to hard-hitting journalist. I spoke with Chris recently and it was a most delightful conversation as we tripped-the-political-forum-light-fantastic, talking about the past, present and future of the brand and the status of today’s political landscape. Chris will readily tell you he is not a “celebrity” editor and has no desire to be, and that the point of The New Republic is always ideas and advancing intellectual debate, political debate, policy debate, and that those things are not and should never be driven by celebrity. And as a magazine that was once considered to be the inflight publication for Air Force One, Chris is proud of that piece of his brand’s history, but not bedazzled by it. In fact, he thinks it’s a bit dangerous if having your magazine read by an existing president is that vital to you, it’s more about the work itself, not the powerful person who is reading it. Indeed, Mr. Magazine™ enjoyed this refreshing look at the world of politics and commentary, and certainly hopes that you do too. And now, the Mr. Magazine™ interview with Chris Lehmann, editor The New Republic. On how it feels to be editing a magazine that will soon be 105-years-old: It’s absolutely great. It’s an interesting question though as it’s a little bit of being intimidated and overwhelmed by The New Republic’s history, and me just hoping that I carry on the great legacy. I would read all of these back issues of the magazine going back to the beginning and encounter many of the editors whose work I was actually studying and I would feel like, wow, this is an amazing magazine. So, it’s an honor all these years later to be at least a part of this legacy. On whether he feels we are having a free discussion in today’s media world as Walter Lippmann described the theory of a free press: Largely, no. That’s a good watch word for my working moving forward. I do think truth is always sort of provisional and contingent and does emerge out of honest argument and forthright exchanges of views. Right now we have many other problems. We have a media industry that is largely failing economically; we have weaponized propaganda happening in outlets like Fox News and Breitbart News. And it’s not confined to the Right either, there are plenty of false filtering organs on the Left and in the Center. So, one modest hope going forward is I think we can revive that vision of honest debate of the past realizing that kind of truth. On editors being shy or not being shy with their points of view: I’m certainly not shy myself, if you look over my work I’m very vocal in expressing my beliefs and views. And I think that is healthy. The newspaper industry going back to the 19th century, when everyone sort of bewailed the partisan drift of the press today as a symptom of falling away from some ideal of objectivity and impartiality, but in point of fact, American journalism has always been robustly driven by political ideas. And I don’t think there’s anything wrong with that; I think political ideas should be a part of the common conversation and debated openly. On how he can ensure that The New Republic’s voice is being heard with all the noise that’s out there: You can’t. You want there to be an audience and you want them to be engaged, but there are no guarantees. I think it was George Seldes who said, the basic mission of journalists is to tell the truth and run. (Laughs) I think you have to trust that somehow, and this is not to say that we’re not mindful of the enormous amount of other voices and the glutted character of the information marketplace, but you just do that work that’s important to you and trust that an audience will follow. On why commercial magazines always seem to do better than opinion magazines even with the money of millionaires and foundations behind them: To my knowledge I don’t think that The New Republic has ever made money; I don’t think The Nation has made money; there might have been a time during the Clinton impeachment period when The American Spectator made money, but that time came and went. To me it’s obvious, at a basic level of the business model there is a very limited amount of advertising you can count on to generate revenue for opinion magazines, sort of a built-in feeling based on the material you’re publishing for audience growth. On whether he can envision The New Republic as being the inflight magazine for Air Force One ever again: I’m tempted to say, no, baby steps here, let’s first concentrate on electing a president who reads. I live in D.C. and I’m frequently in the company of people who are elbowing their way into positions of power and influence and saying they’re shaping opinion, and to be honest, I don’t share that impulse personally. Obviously, it’s flattering to your ego or vanity to think a powerful person is reading your work, but to me your work is the point. I don’t want to say that I wouldn’t care if a president read us again, but I think it’s dangerous to care too much if a president reads you. And I think to be perfectly honest that was part of the trap that the former New Republic fell into. On whether he thinks this is the era of the celebrated editor rather than the celebrity editor: I have zero ambition to be a celebrity, (Laughs) so if the era of the celebrity editor is over, then that’s very good for me personally. I think you do have to have a certain kind of whatever, business model and perhaps, let’s just say, an enormous ego of certain proportions to think that your vision of a magazine somehow conquers everything. I’m just not put together that way and I’ve worked for celebrity editors and I hated the experience, so if anyone catches me behaving like one, I hope they strictly fire me. (Laughs) The point of The New Republic is always ideas to me, and advancing intellectual debate, political debate, policy debate, and those things are not and should never be driven by celebrity. On whether he feels the role of the editor is changing from five or ten years ago: The role of the editor is always changing. It’s kind of the nature of the job, you are harnessed to a medium that is responding to dramatic, yes technological changes, but also political changes and cultural changes. I can’t even remember where I was ten years ago, probably Congressional Quarterly, and that was a time during the second Bush administration where in many respects the political outlook was, let’s just say, not sunny. (Laughs) And I remember feeling and talking to people at the time that it couldn’t get any worse than this, and look where we are today. On the role he feels The New Republic plays in print in today’s digital world: I’m old-fashioned, I think print is a natural and preferable medium of ideas and requires a level of patience and inwardness, I would say, toward the reader that you don’t experience in the same way online. Blaise Pascal said long ago that the entire problem with the world is the inability of a person to sit alone in a room. (Laughs) And reading a print magazine forces you to sit alone in a room and have an internal dialogue as you go. Do I agree with this writer, taking into account X point or why objection. I think you get a closer reflection of the amorphous process of human thought, in my view, than online and digital experiences. On returning to a weekly frequency: These are all questions of money and I’m the word person, not the money person, but I am always for greater frequency. At the same time, I recognize constraints and we do have a website that updates multiple times a day and also features our print content. This is another thing about the digital piece of it, our print content runs online and occasionally we will adapt an online piece to work in the print magazine. Even though I have been saying that there is something special about print, there is also crosspollination that I think is good and beneficial to readers and editors and writers alike. On whether someone will be able to see his imprint on the magazine after editing it for one year: I hope so, yes. I’m certainly aware that we’re changing a lot over a very short period of time that I’ve been on the job. And I think readers will be the best judges of that, but I do feel like I could point to examples, yes. But I don’t want to spoil it for your readers. I want them to read the magazine and decide for themselves. On the biggest misconception he thinks people have about him: That’s an interesting question. I’m not really sure what kind of conceptions that people have of me in the first place because I’m not a celebrity editor, but hypothetically I think people probably think that because I do have a sharp, polemic voice in my own writing, they probably think that I’m more ideologically rigid than I actually intend to be. I think that would probably be chief among the misconceptions. On what someone would find him doing if they showed up unexpectedly one evening at his home: I do love to cook; I do love to read, fiction that is not at all related to my day job. And I play music when time permits, which is sadly not much these days. And I have two step-children and two dogs who are a big part of my daily life. So, all of that. On what keeps him up at night: The fate of the country question, and I did just take on a big, new job, so I often think about that. And family stuff is always part of what I’m thinking about. And now the lightly edited transcript of the Mr. Magazine™ interview with Chris Lehmann, editor, The New Republic. Samir Husni: Congratulations on the new title of editor. You’ve been a consulting editorial director at the publication for some time, but now you’re officially the editor. How does it feel to be editing a magazine that in November will be 105-years-old? Chris Lehmann: It’s absolutely great. It’s an interesting question though as it’s a little bit of being intimidated and overwhelmed by The New Republic’s history, and me just hoping that I carry on the great legacy. I would read all of these back issues of the magazine going back to the beginning and encounter many of the editors whose work I was actually studying and I would feel like, wow, this is an amazing magazine. So, it’s an honor all these years later to be at least a part of this legacy. Samir Husni: As I was preparing for this interview, I found a quote from Walter Lippmann, one of the founders of the magazine, who said, “’The theory of a free press is that the truth will emerge from free reporting and free discussions, not that it will be presented perfectly and instantly in any one account.” Do you feel that we are having a free discussion in today’s media world? Chris Lehmann: (Laughs) Largely, no. That’s a good watch word for my working moving forward. I do think truth is always sort of provisional and contingent and does emerge out of honest argument and forthright exchanges of views. Right now we have many other problems. We have a media industry that is largely failing economically; we have weaponized propaganda happening in outlets like Fox News and Breitbart News. And it’s not confined to the Right either, there are plenty of false filtering organs on the Left and in the Center. So, one modest hope going forward is I think we can revive that vision of honest debate of the past realizing that kind of truth. Samir Husni: Recently, Anna Wintour was reported as saying, it’s about time for editors to take a position or share their opinions, and the more I look at the history of American magazines, editors were never shy, whether it was The New Republic or The Nation. Chris Lehmann: Yes, I’m certainly not shy myself, if you look over my work I’m very vocal in expressing my beliefs and views. And I think that is healthy. The newspaper industry going back to the 19th century, when everyone sort of bewailed the partisan drift of the press today as a symptom of falling away from some ideal of objectivity and impartiality, but in point of fact, American journalism has always been robustly driven by political ideas. And I don’t think there’s anything wrong with that; I think political ideas should be a part of the common conversation and debated openly. Our present political moment is, among many other things, a failure in basic civic education. People don’t know how to handle political ideas or disagreements and they retreat into conspiracy theories, victimhood, grandiose ideas about making America great again, let’s say. And the perverse thing is, those are all advanced in the service of ideological agendas that people don’t recognize. So, I think the way to guard against that contamination of our information culture is to be an educated, honest broker in the marketplace of ideas. Samir Husni: As editor of The New Republic, how do you think you can ensure that your voice is heard with all the noise that’s out there? Chris Lehmann: You can’t. You want there to be an audience and you want them to be engaged, but there are no guarantees. I think it was George Seldes who said, the basic mission of journalists is to tell the truth and run. (Laughs) I think you have to trust that somehow, and this is not to say that we’re not mindful of the enormous amount of other voices and the glutted character of the information marketplace, but you just do that work that’s important to you and trust that an audience will follow. Samir Husni: Why do you think, with almost no exception, all of our opinion-driven, politically-driven publications, from the very beginning have been supported by moneyed individuals or organizations? The New Republic was founded by a multimillionaire woman and her husband back in 1914, and the same thing as Foundations are supporting a lot of the opinion magazines to continue to thrive or to survive, yet the commercial magazines always did better than the opinion magazines. Why do you think that’s the case? Do you think our public is not interested in opinion publications? Chris Lehmann: I think that’s probably overstating it. 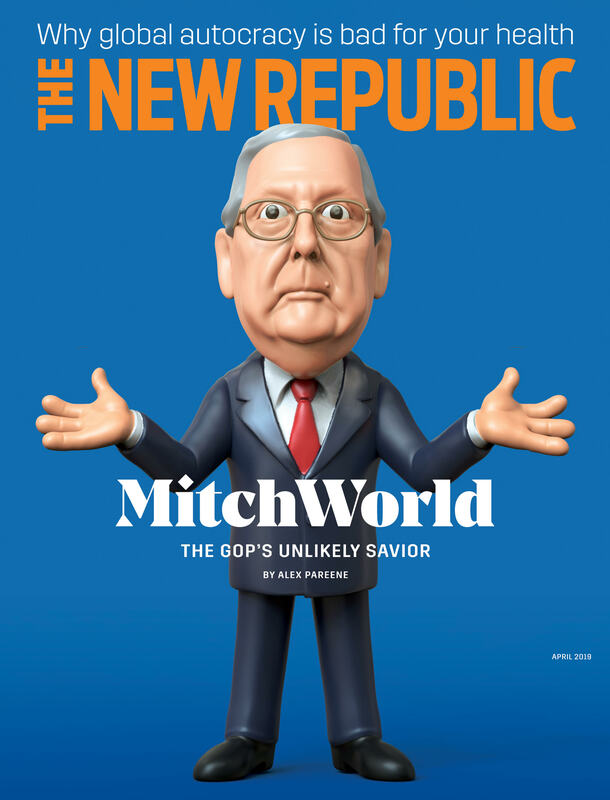 To my knowledge I don’t think that The New Republic has ever made money; I don’t think The Nation has made money; there might have been a time during the Clinton impeachment period when The American Spectator made money, but that time came and went. To me it’s obvious, at a basic level of the business model there is a very limited amount of advertising you can count on to generate revenue for opinion magazines, sort of a built-in feeling based on the material you’re publishing for audience growth. I don’t think it’s a bad thing, but people are motivated to support and finance opinion journalism out of other than financial motives. And I think you can see what happens when you’re driven purely by financial motives, Facebook happens. (Laughs) Fox News happens. Breitbart happens. I don’t think there is any correlation between market success and truth value, let’s say. Samir Husni: If we go back, The New Republic, which was made even more famous by the movie “Shattered Glass,” has been described as the inflight Air Force One magazine. President Kennedy had a copy of the magazine with him, reading it on Air Force One in the early sixties. 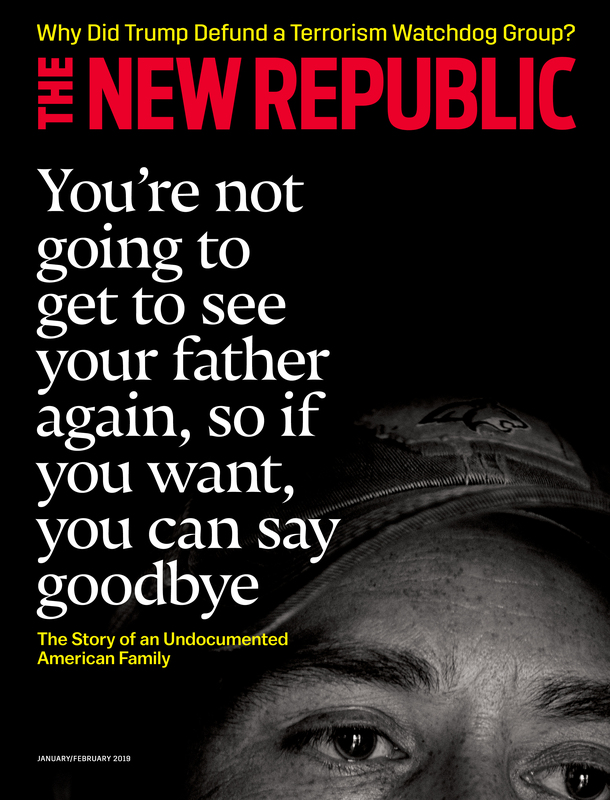 Do you envision The New Republic as being the inflight magazine for Air Force One ever again? Chris Lehmann: I’m tempted to say, no, baby steps here, let’s first concentrate on electing a president who reads. I live in D.C. and I’m frequently in the company of people who are elbowing their way into positions of power and influence and saying they’re shaping opinion, and to be honest, I don’t share that impulse personally. Obviously, it’s flattering to your ego or vanity to think a powerful person is reading your work, but to me your work is the point. I don’t want to say that I wouldn’t care if a president read us again, but I think it’s dangerous to care too much if a president reads you. And I think to be perfectly honest that was part of the trap that the former New Republic fell into. Samir Husni: As an outsider looking in, I think we are seeing a big changing of the guard in almost all of the magazines, where the era of the celebrity editor is moving out and the era of the celebrated editor, like yourself, is moving in. Am I seeing things differently or would you say that the brand is once again becoming more powerful than the person behind the brand? Chris Lehmann: I have zero ambition to be a celebrity, (Laughs) so if the era of the celebrity editor is over, then that’s very good for me personally. I think you do have to have a certain kind of whatever, business model and perhaps, let’s just say, an enormous ego of certain proportions to think that your vision of a magazine somehow conquers everything. I’m just not put together that way and I’ve worked for celebrity editors and I hated the experience, so if anyone catches me behaving like one, I hope they strictly fire me. (Laughs) The point of The New Republic is always ideas to me, and advancing intellectual debate, political debate, policy debate, and those things are not and should never be driven by celebrity. Samir Husni: As an editor driven by debate, do you feel the role of the editor, and this isn’t your first editorial job, nor is it the first time you’ve been an editor, do you feel the role of the editor is changing, say from five or ten years ago when we only had print and now we have print, digital and whatever is going to be invented next? Chris Lehmann: Yes, the role of the editor is always changing. It’s kind of the nature of the job, you are harnessed to a medium that is responding to dramatic, yes technological changes, but also political changes and cultural changes. I can’t even remember where I was ten years ago, probably Congressional Quarterly, and that was a time during the second Bush administration where in many respects the political outlook was, let’s just say, not sunny. (Laughs) And I remember feeling and talking to people at the time that it couldn’t get any worse than this, and look where we are today. So, it’s always a moving target and that’s part of the challenge of having the job of editing a timely news-driven publication that speaks to the present moment. You have to change, you have to take into account different platforms, different technologies, and different ideas continually as you go. Samir Husni: Having the multiplatform now, and being in print only ten times per year instead of 40 times per year, what do you think the role of print plays today with a magazine like The New Republic and how do you differentiate that role from the website or digital presence? Chris Lehmann: That’s a good question. I’m old-fashioned, I think print is a natural and preferable medium of ideas and requires a level of patience and inwardness, I would say, toward the reader that you don’t experience in the same way online. Blaise Pascal said long ago that the entire problem with the world is the inability of a person to sit alone in a room. (Laughs) And reading a print magazine forces you to sit alone in a room and have an internal dialogue as you go. Do I agree with this writer, taking into account X point or the why objection. I think you get a closer reflection of the amorphous process of human thought, in my view, than online and digital experiences. Samir Husni: So, do you see yourself one day having a conversation concerning maybe one day going back to the original frequency; The Nation is weekly, why not The New Republic? Chris Lehmann: These are all questions of money and I’m the word person, not the money person, but I am always for greater frequency. 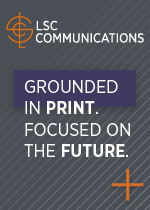 At the same time, I recognize constraints and we do have a website that updates multiple times a day and also features our print content. 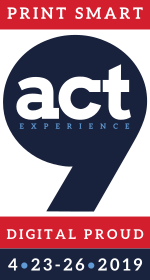 This is another thing about the digital piece of it, our print content runs online and occasionally we will adapt an online piece to work in the print magazine. 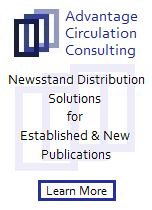 Even though I have been saying that there is something special about print, there is also crosspollination that I think is good and beneficial to readers and editors and writers alike. 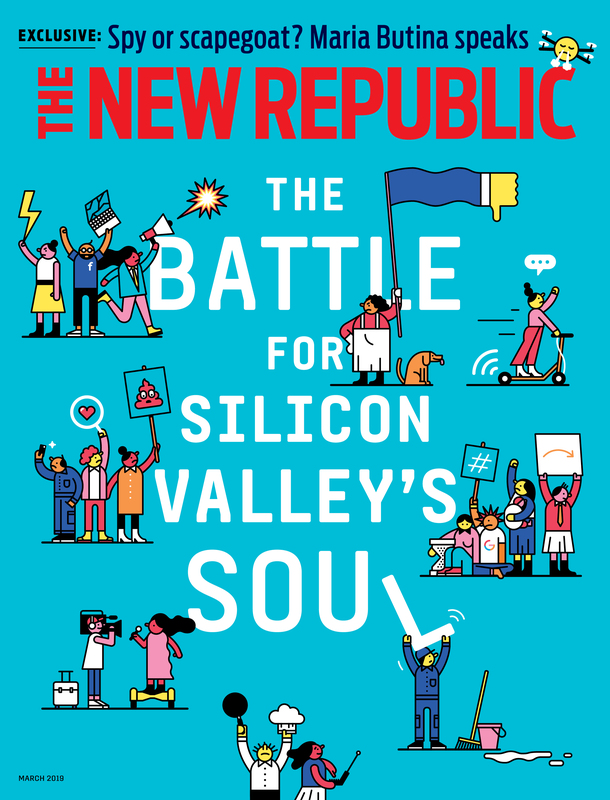 Samir Husni: If you and I are having this conversation a year from now and I ask you to show me your fingerprints on The New Republic; you’ve been editing it for a year, will I be able to visually see your imprint on the magazine? Chris Lehmann: I hope so, yes. I’m certainly aware that we’re changing a lot over a very short period of time that I’ve been on the job. And I think readers will be the best judges of that, but I do feel like I could point to examples, yes. But I don’t want to spoil it for your readers. I want them to read the magazine and decide for themselves. Chris Lehmann: That’s an interesting question. I’m not really sure what kind of conceptions that people have of me in the first place because I’m not a celebrity editor, but hypothetically I think people probably think that because I do have a sharp, polemic voice in my own writing, they probably think that I’m more ideologically rigid than I actually intend to be. I think that would probably be chief among the misconceptions. Chris Lehmann: I do love to cook; I do love to read, fiction that is not at all related to my day job. And I play music when time permits, which is sadly not much these days. And I have two step-children and two dogs who are a big part of my daily life. So, all of that. Chris Lehmann: The fate of the country question, and I did just take on a big, new job, so I often think about that. And family stuff is always part of what I’m thinking about. Better Homes and Gardens: The Mother Of All Consumer Magazines Prepares For Its Next Century Under New Leadership. The Mr. Magazine™ Interview With Stephen Orr, BH&G New Editor-in-Chief. The 20 Hottest Magazine Launches Of 2016/2017 -- Mr. Magazine™ Teams Up With The MPA: The Association of Magazine Media To Present “The Launch Of The Year” At The American Magazine Media Conference Feb. 6, 2017. Forbes And The BrandVoice Match-Making: Mark Howard, Forbes' Chief Revenue Officer And Chief Match-Maker Explains And Elaborates... The Mr. Magazine™ Interview.